Beginning at the Delaware Water Gap, I-80 begins in New Jersey as a four-lane highway with lots of curves and a 50 MPH speed limit, part of its legacy as the old US 46 / US 611 built in the early 1950's. Four miles into the state, however, I-80 emerges as a modern Interstate highway. Built mostly during the 1960's and early 1970's, I-80 has a minimum of three through traffic lanes in each direction, with additional lanes through areas of high elevation in the west and high congestion in the east. Increasingly, I-80 through the entire state has become important route for commuters from the Poconos to New York City and northeastern New Jersey, so additional lanes in western New Jersey cannot be ruled out at a future date. HOV lanes were tried without success during the late 1990's, but the NJDOT could try them again if congestion builds. Signing along I-80 is fairly clear. 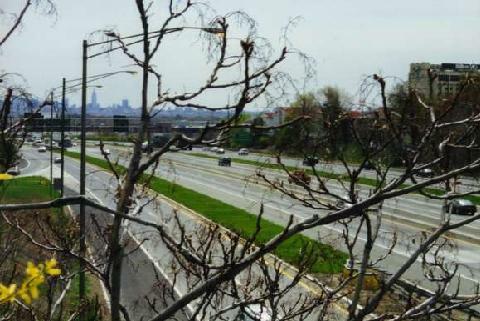 The pavement is a different story, particularly along the highway's eastern stretches, but the NJDOT already is addressing this issue with a major reconstruction of the local and express lanes through Bergen County. Traffic along I-80 moves along satisfactorily, though the highway could benefit from a fourth through lane in each direction through Paterson (between EXIT 58 and EXIT 60), and between EXIT 47 (I-280 / US 46) in Parsippany and EXIT 53 (NJ 23) in Wayne. The aesthetics along I-80 are typical of a New Jersey highway, though they do improve toward the Delaware Water Gap.  I-80 shield by Ralph Herman.